They want to know that the staff, from top to bottom, can place themselves in the members’ shoes, and thus understand what it takes to provide a consistently exceptional level of service. Each member of staff is important to keep things running smoothly, but when it comes to on-course interaction, it is the marshals who become the face of the club. Therefore, it is crucially important to ensure that marshals are trained to handle issues that arise, such as bad pace of play and flow challenges, in an adaptive and positive manner. Clubs can train their marshals to think on their feet, but there is no substitute for the real-time, on the go data that golf club management software provides. Tagmarshal, the industry leader in golf course intelligent software, provides clubs with the ability to offer an exceptional level of service. Marshals can establish a positive, non-confrontational approach to enforcing course rules and regulations, backed by intuitive data and analytics. Better still, they can offer a golf experience tailored to the individual, as the golf tracking software enables marshals to personalize conversations, remember players’ names, and better get a feel of the kind of expectations members have of the course. When on-course issues do arise, the wealth of data allows marshals to handle them immediately, offer members assistance, and follow up upon the completion of the round, all of which ensures an exceptional experience. In the case of Wisconsin Club, Tagmarshal’s golf management software has empowered marshals to regularly beat pace of play challenges, and the course is now a four-hour round course, a fact that they can proudly promote based on the consistency of round times. In addition, the club has since hit its capacity of 350 members, with the greatly reduced churn rate attributed to positive and reliable on-course experiences. To put it simply, Tagmarshal’s pace tracking system means marshals can pursue an improved pace of play, based on a positive and data-driven approach in dealing with members. This creates an environment of excellence that continues right through to the clubhouse, in turn maximizing revenue for the club. 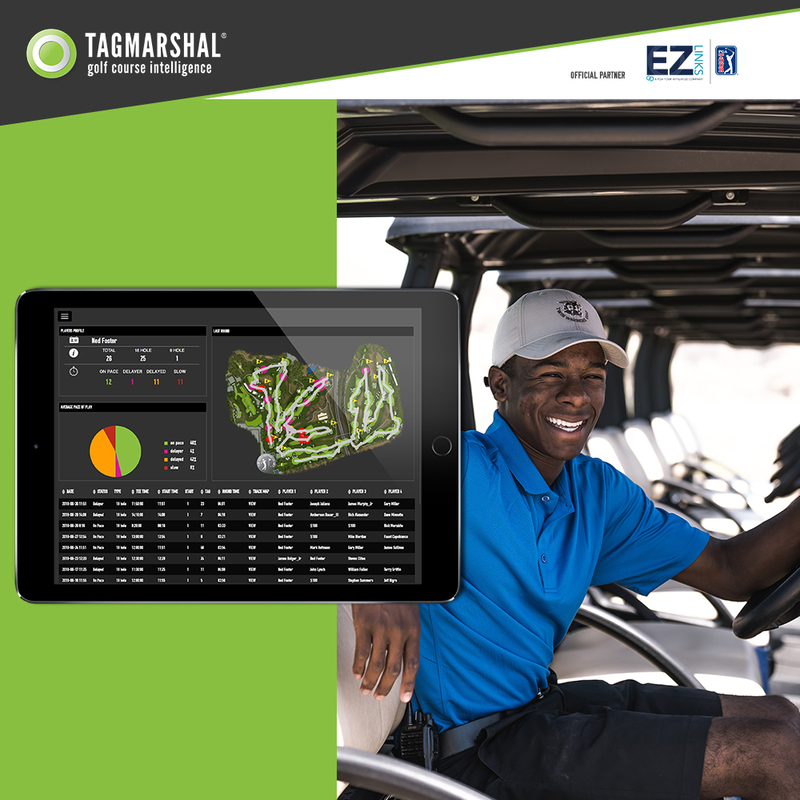 Given how competitive the market has become, and how much of a premium golfers place on pace of play, it’s clear that golf management systems like Tagmarshal are set to further revolutionize the game in the years to come.